By providing fixtures with lesser consumption of electricity, safety & low maintenance, we carved our niche through. Facade and landscape lighting are the key parts of this project. 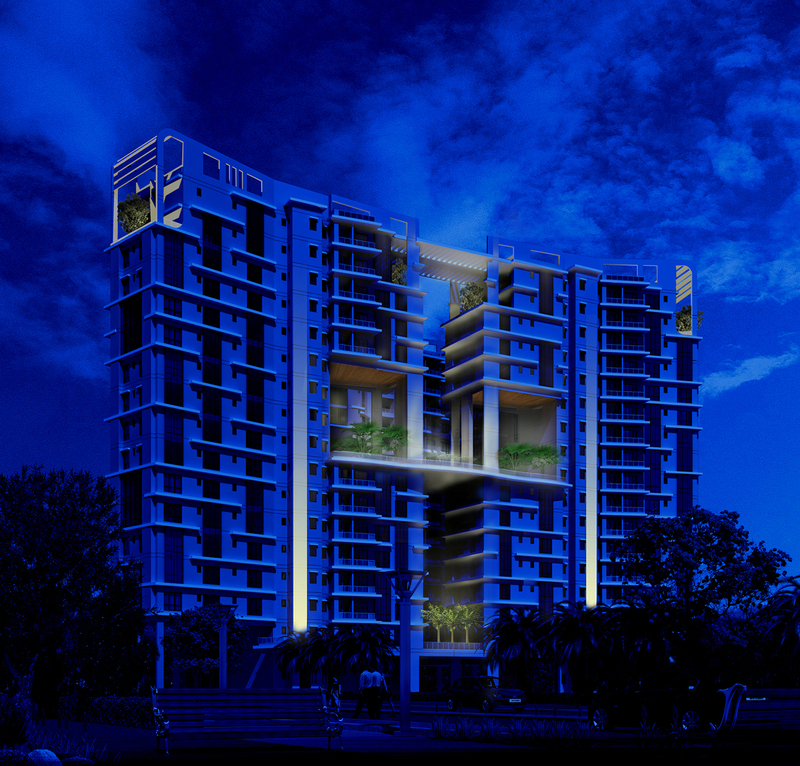 Astitva, an Elite Residential society, is one of the best residential development projects of MCK and Primarc Group. 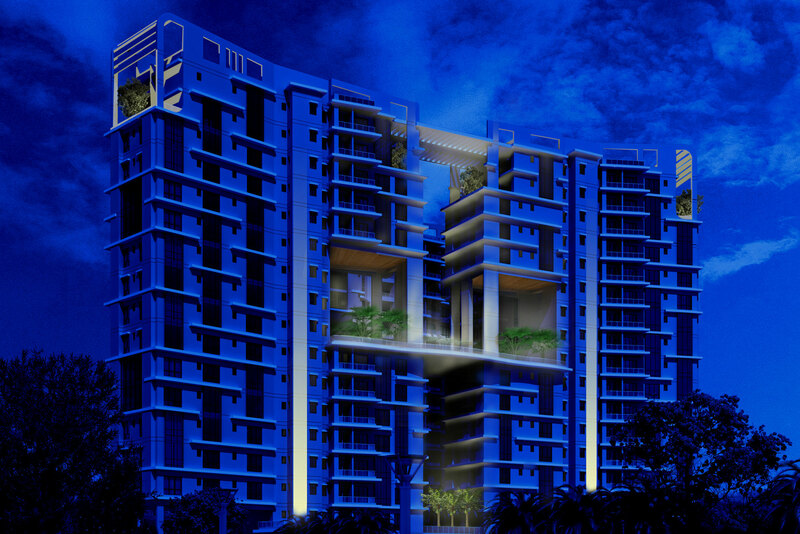 Located in the city of Kolkata, it comprises of 3 blocks offering spacious and skilfully designed 3BHK, 4BHK and 5BHK apartments along with penthouses. The project is well equipped with all basic amenities to facilitate the needs of the residents. the wonders of shadows and darkness. For facade, we proposed narrow beam spot light fixtures to light up the main columns of the building, right from the bottom to top. We have also provided a connecting bridge between each of the three towers, where we use Led light strips to light up the floor, skilfully not disturbing the night sky. 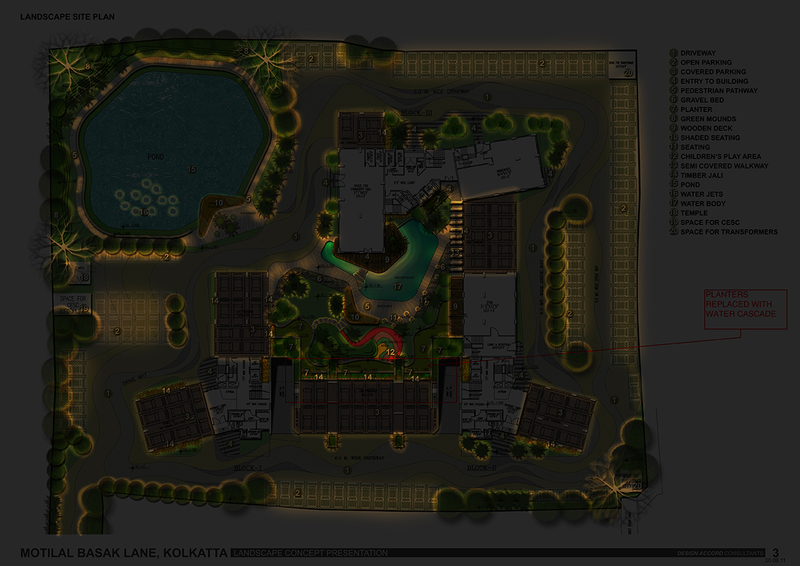 Landscape lighting concept was designed using customised fixtures to match the budget, without compromising on the quality. The aim was to maintain the perfect balance between light and darkness. Our approach was to make sure that all the fixtures got camouflaged within the layout of the seating pods, benches, pergolas, etc. Being a certified member of the International Dark-Sky Association (IDA), we used our knowledge beneficially so that maximum of the fixtures were facing the floor, or focused on an object rather than uplighting it. As started earlier, to keep the residents closer to nature, we came up with the concept of fireflies. Using them once it’s dark, we highlight the basic pathway lights to enhance the look & feel of these firefly lights, mimicking the real ones.